PoPville » Chaia vegetarian tacos opening 2nd location at 6th and I St, NW!! Chaia vegetarian tacos opening 2nd location at 6th and I St, NW!! “Chaia, the elevated fast casual brand that brings farmers and street food together through vegetables, announces that it has signed the lease for its second location, slated to open later this year. 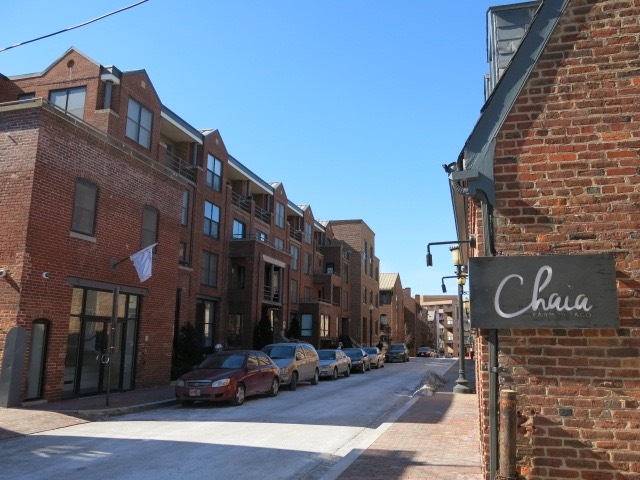 Called one of the “50 Best Taco Joints in America” by Business Insider , Chaia’s new restaurant will open near Mount Vernon Triangle at 615 Eye Street NW. 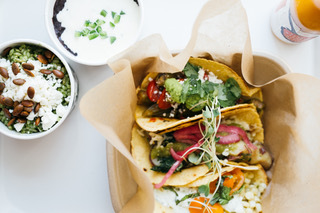 Chaia launched in 2013 as a beloved “farm-to-taco” stand at DC area farmers’ markets, whose popularity led to the opening of its Georgetown shop in 2015. Since opening Chaia, founders Suzanne Simon and Bettina Stern have indulged the DC community with homemade vegetarian tacos using quality local and seasonal ingredients. With an emphasis on sustainability and wellness, Chaia aims to inspire guests to make simple adjustments in the way that they eat, for their health, and the health of our environment. Like the Georgetown shop, the brand’s second brick-and-mortar location will feature a menu of made-from-scratch, plant-based tacos, sides and natural beverages in a stylish and inviting setting. Designed by Gensler Associates, the new 2,000 square foot shop is larger than its original location, with seating for 35 . The location will also feature wine and beer, and will launch a new menu of seasonal cocktails. The new shop will also serve breakfast tacos on the weekends and is also considering a small menu of offerings for weekday mornings.